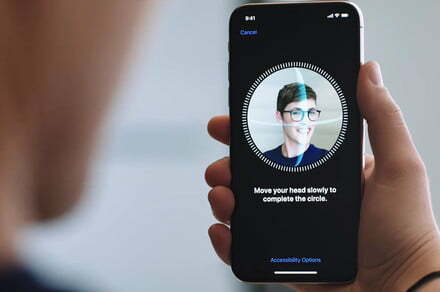 Apple first introduced its biometric technology Face ID September, 2017, that allows people to unlock their devices safely thanks to a sensor facial recognition that came with a new design. But now, it seems that Apple wants to take the security a step further. A patent recently filed by the company before the European Patent Office shows that the system at present could be more advanced, and that it would take into account the exploration of the retina eye of the users. The patent discovered also makes reference to a standalone keyboard, which contains a bar, touchscreen built-in with Touch ID. As is known, a patent does not necessarily guarantee that Apple will implement new technology in your line. Companies commonly patent ideas just to keep the intellectual property rights of its advances, but it is equally interesting to know that Apple is looking for alternative options of biometric authentication for its users. In essence, ID Face create a 3D model of the face of a user, and compares it with a model based on an image previously stored. All this is possible thanks to the latest iPhones and iPads Pro contain a projector of infrared dots and an infrared camera to create depth maps highly detailed. Although not implemented new measures, the security of ID Face should not be underestimated. Unlike previous implementations of facial recognition of other companies, such as Samsung, Face ID uses 3D mapping and non-flat images. The result, according to Apple, is that the possibility that someone could unlock a phone secured by Face ID is one in a million. On the other hand, the scanning of the retina could introduce even more security, by preventing that people similar to the owner, such as a brother or a close relative, try to unlock a phone, thus offering an additional layer of protection. Apple would not be the first company to attempt to use retinal scanning in its devices; Samsung introduced the capability to unlock the Galaxy S8 with that feature in 2018. however, if Apple chooses to use retinal scanning as an authentication layer secondary, it could make your system more secure for users. It is likely that Apple is preparing to move its authentication system to your Mac line in some time, and the new function could help to meet safety standards more stringent. Finally, although in the past we have seen patents that mention Touch ID in standalone keyboards, it is worth noting that the latest offerings from Apple continue to illustrate the possibility. Within the files of the European Patent Office of Apple, the company continues what seems to be a keyboard Magic Keyboard with a bar touch Touch Bar integrated. In general, Apple seems to be increasing its focus on the biometric authentication to their devices.